P1	P2	P7	P8 What are Natural Resource Charter precepts? 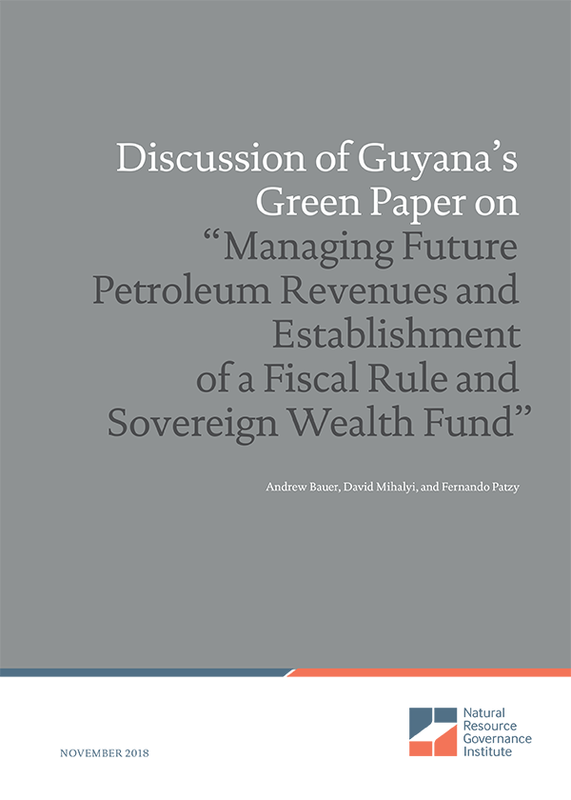 The government of Guyana is about to launch a new sovereign wealth fund to manage its future oil wealth, which is likely to be significant. While the government’s approach includes a commendable framework, there is also a risk that without several key improvements the fund will not function as intended. Manage citizen expectations by informing the public about the uncertainty of revenue projections and by mitigating the risk of taking on too much debt prior to generation of large oil revenues. Strengthen constraints around fund asset purchases, including explicitly prohibiting the riskiest asset classes (e.g., commodities, real estate). Modify the proposed fiscal rule to better promote fiscal sustainability, effectively smooth overall fiscal expenditures, allow for escape in times of crisis and reduce complexity. Build consensus on the rules among political parties and the general public.